This was the 7h march for the right to housing organized by The City is for All, where two thousand people raised their voice for decent and affordable housing. The event called attention to the critical situation of housing that affects more and more citizens and held the national and local governments accountable for their lack of adequate responses to this situation. 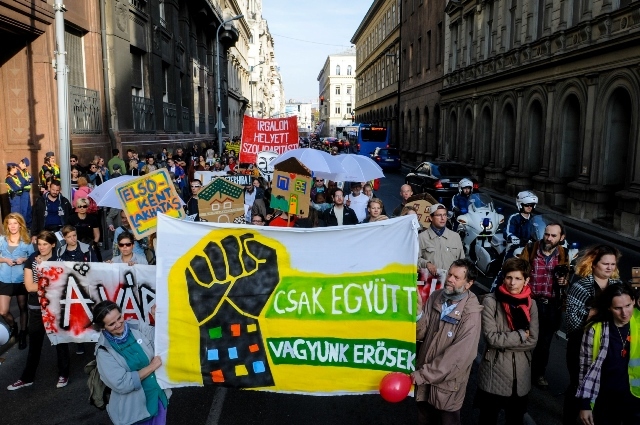 Organizers also offered a list of recommendations that could solve housing poverty in Hungary. 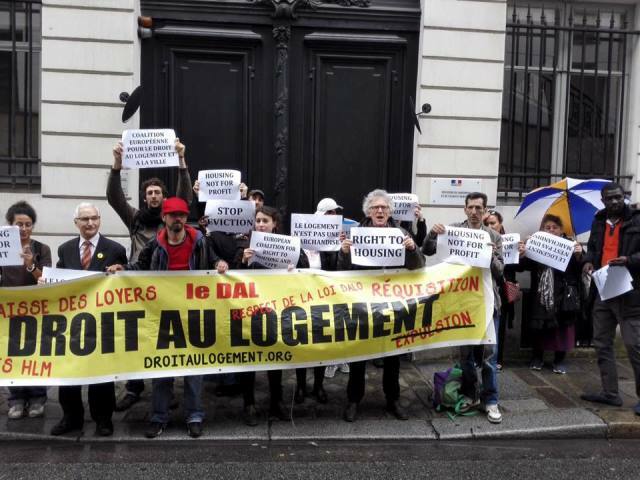 The 7th March for Housing – Together we are strong! 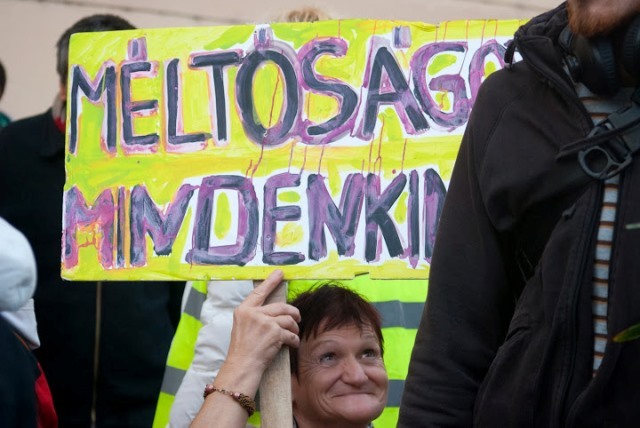 A Város Mindenkié (The City is for All) is organizing the 7th March for Housing, a mass protest for the right to housing. 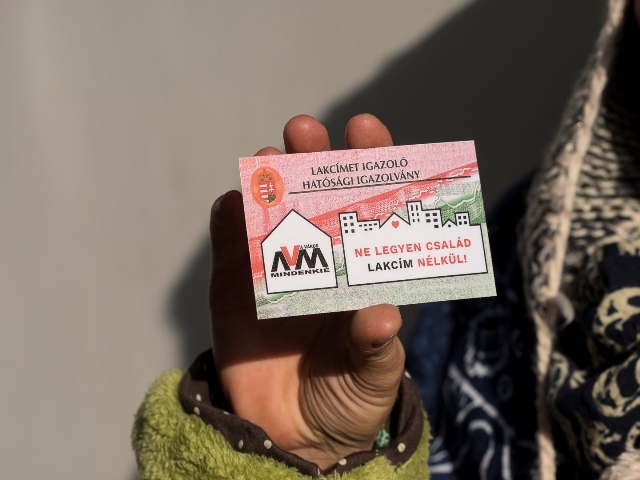 Our aim is to draw attention to the housing crisis in Hungary and hold the national and local governments accountable for not addressing it properly. The march is a part of Fall in Motion, a series of events organized by groups who experience different forms of exclusion and who stand up together for our rights. We stand in solidarity with each other! In just the past two years, 10,000 more people were added to the list of those who have useless addresses. The City is For All has requested information from the Interior Ministry about the number of people with problematic addresses, which exacerbates their uncertain living circumstances or hinders their ability to receive much-needed social and other services. In our last article, we presented data from 2015, and the situation has considerably worsened since then. In Budapest there are barely 80 public toilets for more than one and a half million people. In addition there are very few public toilets that are free of charge and accessible to disabled people. The City is for All (AVM), the Insider Outsiders’ Public Choir (BKK) and the Living Independently – Living in a Community organized a joint action on July 12, 2017 in front of the Interior Ministry and the Ministry of Human Resources (EMMI) to call attention to this situation and claim immediately comprehensive solution. Up until 1989 there was state socialism in Hungary. After this ended, the number of apartments owned by the local authorities dropped because of capitalist privatization. Today we have mass housing poverty. A lot of people became homeless when they were made redundant either due to the change in their family status or because of the credit crunch. This is a problem of the social welfare system, but in Hungary it is addressed using law enforcement methods. Housing organisers from across Europe including members of The City is for All are coming together this weekend to protest against the adoption of the EU Urban Agenda by the 23 Housing Ministers of Europe in Amsterdam. 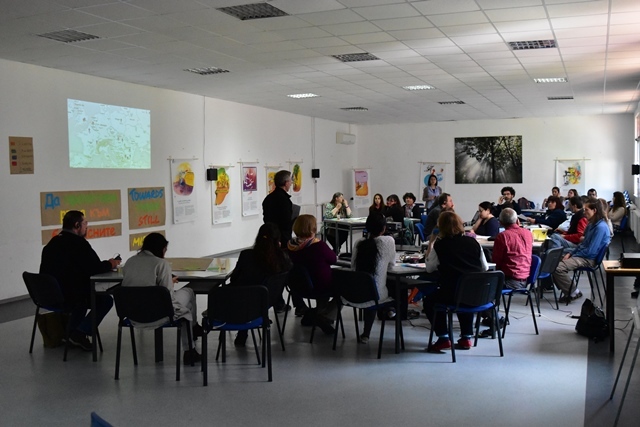 A series of actions were planned by the European Action Coalition for the Right to Housing and to the City, a network of groups fighting for housing justice across the continent. 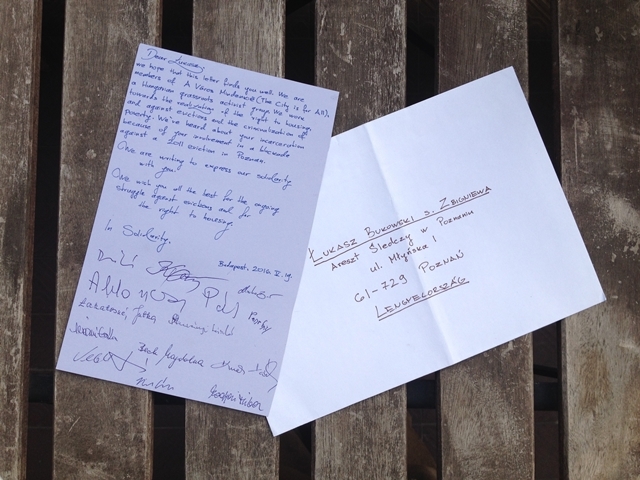 We received notice from a friend in Poland on the 27th of April Łukasz Bukowski, a participant of Anarchist Federation Poznan, Poland, went to prison for three months. He had been charged and sentenced with the breach of bodily integrity of a police officer which had happened during the eviction blockade of a disabled woman and her husband, Katrzyna and Ryszard Jencz, from a tenement house in Poznan, Poland. Lukasz refused to pay the fine, which then was changed to community work and then to a prison term. He appeared at a prison in Poznan where he will spend the next three months. 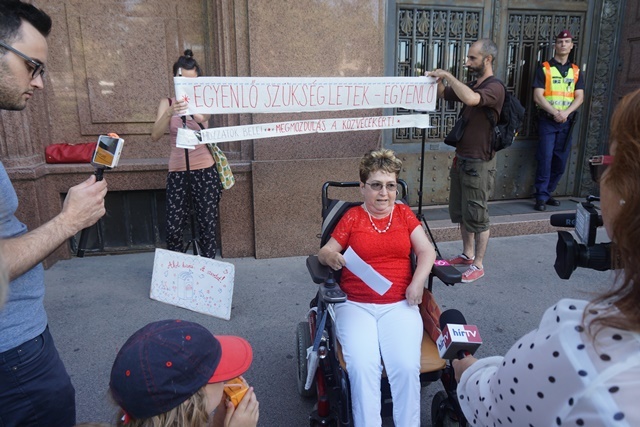 The City is for All and Dr. Bernadett Szél of the Politics Can Be Different Party (Lehet Más a Politika, LMP), are proposing a bill to withdraw the current regulation that defines living in public spaces as a petty offense. The intent of this proposal is to end the persecution of homeless people living in public spaces in Hungary. The Hungarian Parliament will vote on this bill in April, 2016. Please support this bill by writing a lettet to all members of the Hungarian Parliament. Please copy us on the email you are sending to our MPs so that we may keep of track of this campaign (avarosmindenkie@gmail.com).